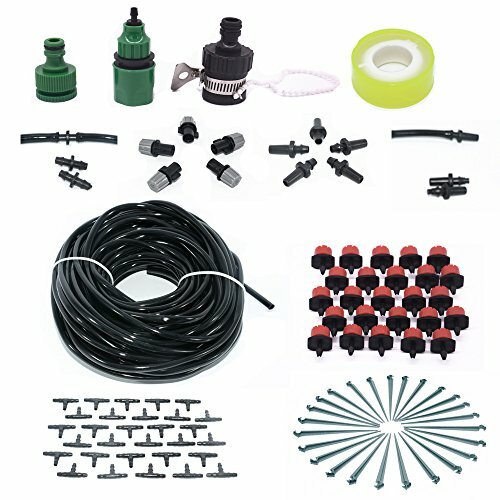 Water pressure: This irrigation kits for each 1/4″ line. One line could support 25 PCS drip tapes, And only could suport 5-8 PCS spray tape if mixed the spray and drip tapes in one line. Waters up to 30 plants. This kit has everything you need to get started with drip irrigation and stop watering your plants by hand.Perfect for gardens, balconies, hanging baskets, greenhouses, vegetable gardens, potted plants, etc. You never have to worry about watering your plants with this drip irrigation kits. 1. Put the Black quick faucet connector into the green 1/4″ Tubing Quick Connector,and put the them into faucet and then tighten the screw on faucet connector till it can’t be tighten any longer. 2. Attach the green 1/4″ Tubing Quick Connector to the pipe. 3. Cut the pipe in a suitable place and then connect them by a 3 open Tee pipe connector. 4. 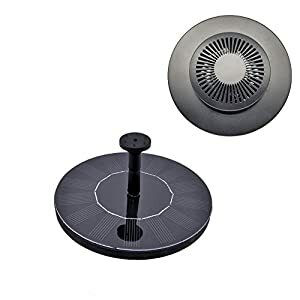 Cut a piece of pipe and connect it on the top of the 3 open Tee pipe connector, in any case of the pipe put a drip tape or a spray head ( need a Spray tapes Connector). 5. Measures the plants to local conditions with a Barbed fixed stem, more applicable. 6. Twist the adjustable drippers red cap in the drip tape,then you’ll adjust the output of the drip tape and closed the water. 7. If you cut a piece of the pipe by mistake, you’ll connect them via the cut pipe adapters. 8. cut a short of the pipe and then use a end plug to end this system. 1x Black Universal quick Faucet Connector – connecting 1/4″ Tubing Quick Connector and faucet. 1x Green threaded faucet connector – connecting pipe and faucet. 1x Green 1/4″ Tubing Quick Connector – connecting the faucet connectro and pipe. 25x Adjustable Irrigation Drippers – Through the pipe evenly distribution. 30x Tee pipe connector – connecting and distributing the entire 1/4″ blank distribution tubing pipe. 30x Barbed Fixed Stem – Holds 1/4″ drip tubing securely in place. 5x Irrigation Spray Tapes – Through the pipe evenly distribution and spray tapes connector. 2x end plugs – jammed the end of the pipe. 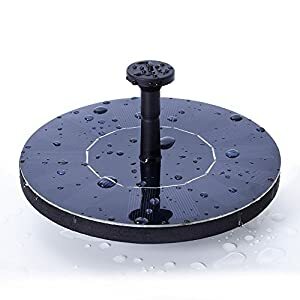 1x waterproof Teflon tape – to make the connecting more tight. 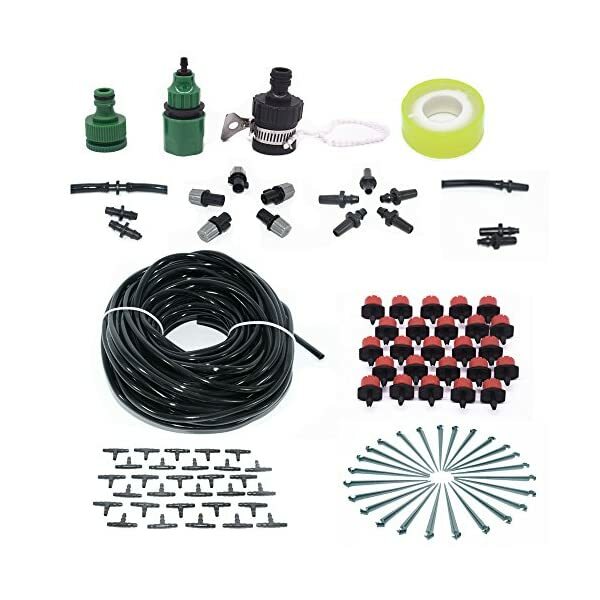 Water pressure: This irrigation kits for each 1/4″ line. One line could reinforce 25 PCS drip tapes, And only could suport 5-8 PCS spray tape if mixed the spray and drip tapes in one line. Waters up to 30 plants. This kit has everything you wish to have to get started with drip irrigation and stop watering your plants by hand.Perfect for gardens, balconies, hanging baskets, greenhouses, vegetable gardens, potted plants, etc. 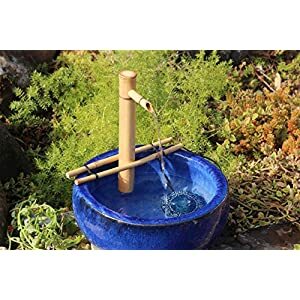 Easy to use: all-in-one drip system installs in as low as 10 minutes, so you’ll start watering your plants very quickly.Simplify insertion and removal of small barbed fittings and dripers.Huge time saver. 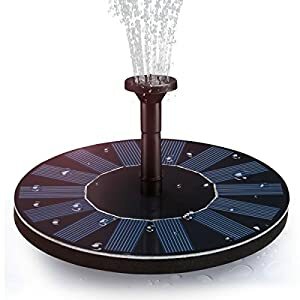 Automatically waters your plants with a constant drift.Increase the absorption and productivity. It can directly send the nutrient solution approach the root of the plant.